Agroup of 30 people and two dogs joined Oakland Urban Paths for a special Sunday urban paths walk around Lake Merritt. The walk was on Sunday instead of our normal Saturday so people could also participate in the Love Our Lake / Oaklavía celebrations going on around the lake. The streets around Lake Merritt were closed to cars and opened to pedestrians, bikes, scooters, skaters and more so people could check out all the improvements around Lake Merritt that have been done as part of Measure DD. We started the walk in Snow Park, where food trucks and others were already getting set up for the day's events. Snow Park is named for the Snow Museum of Natural History; adventurer and hunter Henry Snow shot and otherwise collected thousands of specimens and gave them to Oakland to start a museum. Later parts of the collection would be folded into the Oakland Museum of California. Next door to Snow Park are the remains of the Schilling Gardens and estate, the home of Schilling Spice Co. founder August Schilling. 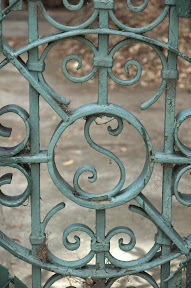 Parts of the gardens still exist, including iron gates with a large 'A' and 'S' in their design, as well as part of a greenhouse. The gardens and grounds were beautiful, immortalized in postcards and open to the public until about 1911. Now they're closed to the public, and were recently threatened by the development of a 42-story building. After a quick stop in front of the Lake Merritt Hotel and The Terrace Room, we rounded the corner on Lakeside Drive to come to the Municipal Boathouse. It started as the a pumping station for the Oakland Fire Department in 1909. The 1906 earthquake was devastating not only because of the ground shaking but because of the massive fires that followed. The pumping station was added as water supply in case of a similar event in Oakland. The wings with the boathouses were added in 1913, and after getting rundown over the years, the building was retrofitted to house the Lake Chalet restaurant, a gondola service and the Lake Merritt Rowing Club. A short walk brought us to Camron-Stanford House. This historic home is the last of the grand Victorians that once ringed Lake Merritt. It was home to various families, including the Camrons, the Stanfords, and the Hewes. For many years it housed the Oakland Public Museum. 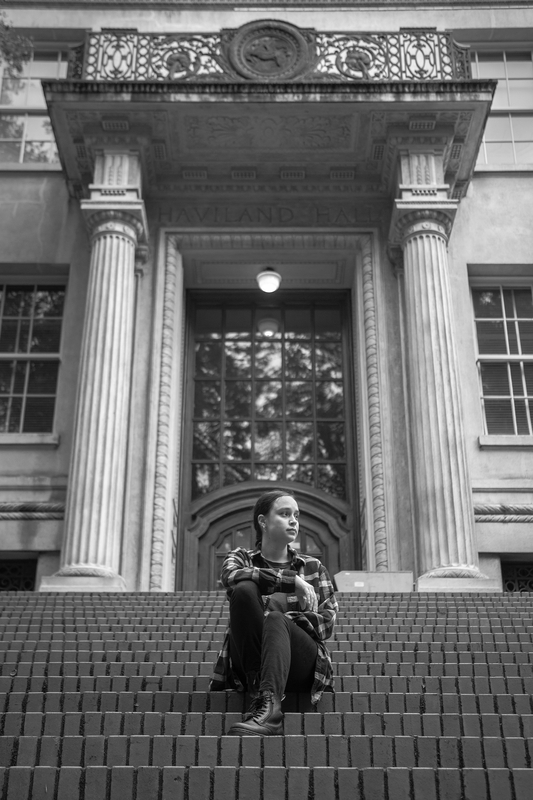 After that was merged into the new Oakland Museum of California, the building became rundown and was threatened with demolition. A group worked to save the house, and now it houses a small museum as well as offices that are rented out. The house and grounds (which include a new Victorian period garden) are available for rental for events like weddings or parties. While we were there, Mayor Jean Quan stopped by to take our picture. That seems only fair since we've walked past her house on a previous walking tour. Then we walked along the south end of the lake, past the Kaiser Convention Center (formerly known as the Oakland Auditorium) to the channel to the estuary. There we looked at the remaining traces of Peralta Playland, which include part of the tunnel from the miniature steam train, the Oakland Acorn. There we ran into Robert Raburn who is on the BART board and founded the East Bay Bicycle Coalition, and Naomi Schiff, who is on the board of the Oakland Heritage Alliance and has been active with it since its inception. A longer walk took us up to the Cleveland Cascade. The beautiful cascade was built in 1923, and was operational until some time before 1950. Over the years it got more and more overgrown, and eventually became a neighborhood nuisance. Then in 2004 some neighbors decided to clean it up, and rediscovered the cascade. Now the Friends of the Cleveland Cascade have raised money (including some Measure DD funds) and installed new railings and lighting on the stairways, and are hoping to raise more money to make the fountains operational once again. Now the stairs are some of the most heavily used in Oakland, both for people getting access between Lake Merritt and Cleveland Heights, but also just for exercise. We walked around the north end of the lake, through the Oakland Pergola and Colonnade. While it didn't get as rundown as the Cleveland Cascade, it needed some renovation via Measure DD, too. When we went past there were people dancing in the plaza and valet bike parking along sidewalk. The adjacent street is called El Embarcadero because in the days of the Spanish, it was used as a landing for shipping and receiving cargo by boat. Heading south, we saw the islands that serve as a refuge for birds. 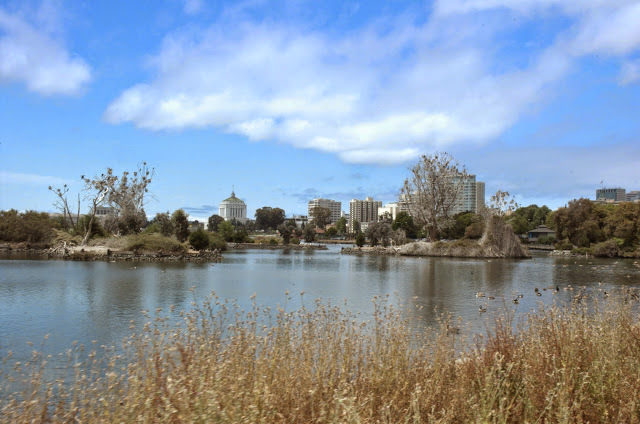 In fact, Lake Merritt is the oldest wildlife refuge in the United States. It became one when Governor Henry H. Haight signed a bill in 1870. The lake is still a wildlife refuge, although the Canada geese are some of the more controversial avian residents. 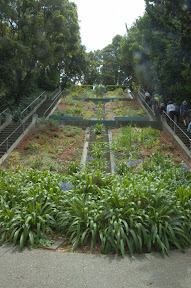 From there we headed to the Gardens at Lake Merritt. Volunteers were doing special tours as part of the Love of Lake celebration, and to encourage people to volunteer to help with the maintenance. The 11 gardens include a bonsai garden, a sensory garden, a palmetum, and more. On the other side of the gardens, we passed by the Lake Merritt Bandstand, the back of Children's Fairyland, and around the arm of the lake. From there we could see the outflow of Glen Echo Creek, the Cathedral of Christ the Light, the Kaiser Center, the Kaiser Roof Garden, and our starting point, Snow Park. Another great walk. 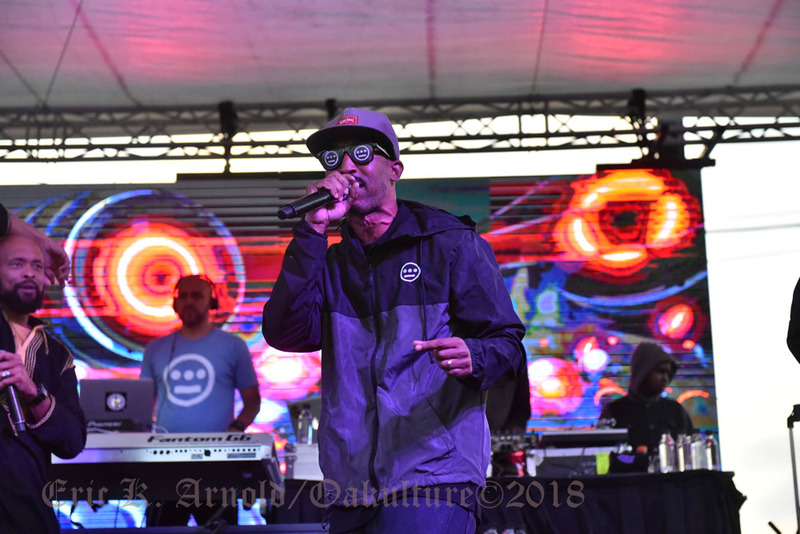 Thanks to everyone who came out and joined us! Click for a map of our route. 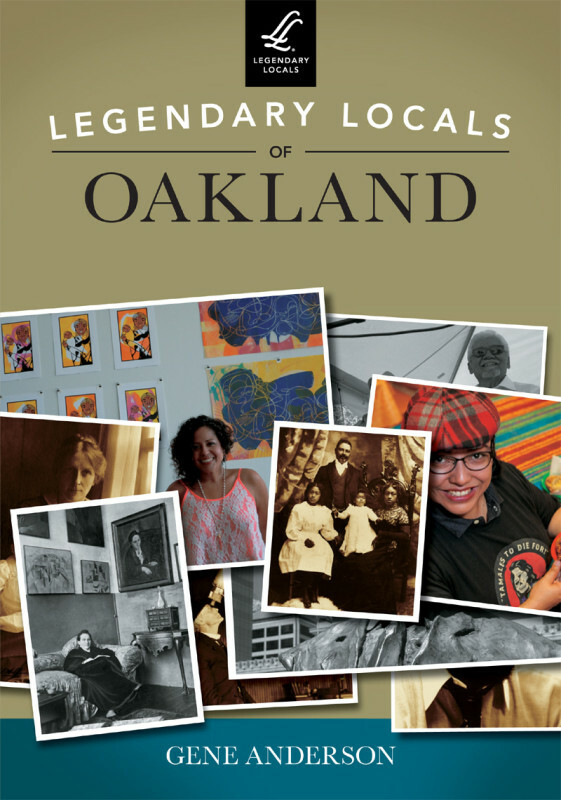 NOTE: If you're new to Our Oakland, links to the Oakland Wiki have the Open Oakland icon in front of them.